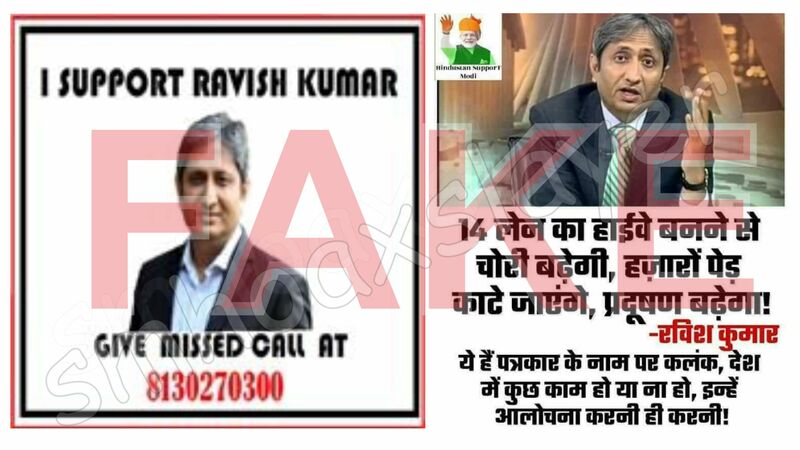 Fake images viral under the name of Ravish Kumar. Ravish Kumar, a popular journalist has been in much news recently. It’s been in news that he has been getting threat calls, abuses, trolled on social media etc. Two images have been viral for last few days, one is in his favor, another against but both are fake. Click here for more such tweets. When contacted by SMHoaxSlayer, Mr. Ravish denied it and said he didn’t know about this and asked us to try it out and find. On calling it, the phone was cut without any message or name. इनके लिए 2 शब्द कहें?? When contacted, Mr. Ravish Kumar denied saying this. Further the post itself didn’t give out any credible link or video too along with he post. April Fool is not made to prove Hindus are Fool. Exclusive Expose of the Fake Video – 2 cars Cars pulled up in air due to Magnetic Field Leakage in China.